Home > Our Blogs > Facing Canada > Why did I write a Holocaust novel? I’m sure that my curiosity about the Holocaust was also roused by the fearful silence surrounding it. As an overly sensitive child (sometimes to my detriment), I was often drawn to the “unspoken” even more than to the revealed. I inherently knew that my parents’ generation was afraid to talk about what had happened to the Jews of Europe. And who could blame them? How could anyone fathom that in the middle of the twentieth century a “civilized” continent would willingly go along with (or did little to prevent) the murder of an entire people? In writing Come Back for Me, I believe that I was also trying to understand the after-effects of historical trauma. I have often observed that some survivors, and even children of survivors, do not feel safe with anyone but their own family members. There are also those who harbour fears that being overtly Jewish will arouse anti-Semitism. They refrain from embracing any Jewish practices that make them appear “different.” In fact, I tend to wonder whether this fear of victimization is even more widespread than once believed. Has it been internalized by most Jews, even those who were not directly affected by the Holocaust? If being Jewish means being targeted for death, then even those who are not Holocaust survivors might somehow feel that being a Jew is too risky. When I was younger, I channeled those anxieties into creative pursuits—painting, music, and theater. Being artistically inclined from a young age, it became my natural outlet. But as I grew older, I abandoned most of my creative activities once I started seriously pursuing an academic career. After completing a Ph.D. in Judaic Studies at Brandeis, I derived great satisfaction from teaching Hebrew and Yiddish literature at the University of Toronto for many years. Nevertheless, my artistic impulses were not completely silenced. They eventually bubbled up from beneath the surface, and suddenly in the middle of my academic career, I found myself needing to write. I suppose that after years of teaching the works of other writers (including many works about the Holocaust), I had an intense need to become a creator of literature, rather than one who teaches other people’s stories. If I could capture the inner world of those who survived--their excruciating pain and the struggle to overcome it--perhaps I would be able to contribute to the healing of those wounds. My attempt to come to terms with what happened in the twentieth century has perhaps come full circle, since (to my astonishment!) 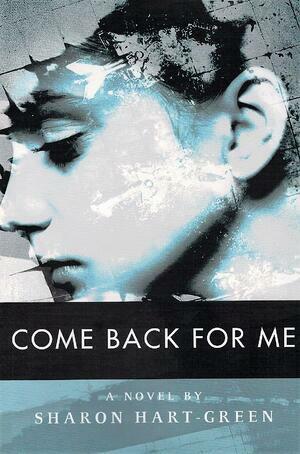 my novel Come Back for Me is now being taught in schools. It is being used as a resource for teaching about the Holocaust, especially as it applies to memory, trauma, and the search for identity. I hope that by drawing readers into the lives of survivors and their children, my novel will challenge students to think about the Holocaust as an event that is not confined to the distant past. The desire to escape the perils of history may well be a natural reflex. But I have learned that facing it head-on is the first step toward forging a healthy and self-respecting future.